From my incompleteness to my completeness, and from my inclination to my equilibrium. From my grandeur to my beauty, and from my splendour to my majesty. From my scattering to my gathering, and from my exclusion to my reunion. From my baseness to my preciousness, and from my stones to my pearls. So that I might bring to light what lies hidden in night’s core. 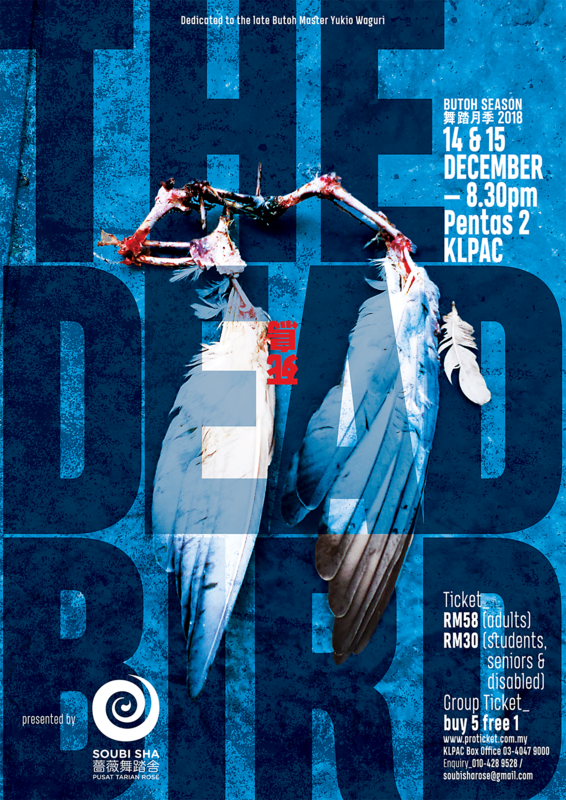 The Dead Bird is a full-length dance performance adopting the structure and the existence of the four birds from “The Universal Tree and the Four Birds” written by the Sufism practitioners and poet Ibn Arabi (1165-1240) to explore what is human. A performance combines Butoh and contemporary dance that encompass the existence of the dancers’ body and explore their hidden identity through the death of self.